What is a professional certification! PMI® salary survey reveals that certificated professionals earn 23% more salary. Join our free informative seminar to gain all the relevant information on the value of professional certification and how it’s beneficial to your career and how to become a certified professional. Discover the Business Analysis (BA) principles, activities, tasks, and techniques. Recognize the role of Business Analyst within the industry and beyond projects lifecycles. Anticipate the exam approaches and get organized in accordance with. Analyze yourself to be successful in your exam through the sample questions in each domain. Related to the new trends in the Industry. Improve your on-the-job performance through our interacive sessions. There’s no substitute for face-to-face events. Grow your knowledge and your opportunities with thought leadership, training, and tools. PMI certifications signify that you’re serious about your project management career and your professional development. Understand the recognition you deserve and the credibility you need. PMI certification is a mark of excellence in any location, in any industry. Develop lasting relationships. Engage with experts. Share best practices and gain practical insights. Red Learning provides you with access to valuable knowledge, networks, and resources. Najmul Hussain and is one of the most recognized lecturers in the UAE for Project, Program and Portfolio Management and PMI’s Professional certifications including PgMP©, PMP©, PMI-RMP©, and PBA©. 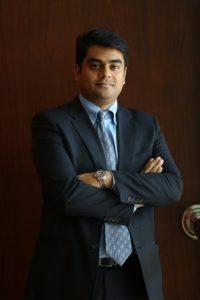 As a Program and Project Management Professional, he comes with more than 16 years of managing and delivering diverse and challenging projects he has successfully managed to integrate a blend of Information Technology, Telecom, Civil and Infrastructure projects towards the benefits realization of the overall strategy of the organizations that he has worked for. He is also the Founder & Advisor to the local chapter of Project Management Institute (PMI) in the UAE where he has served as voluntary Vice President. He guests lecturer occasionally for Business Schools in the UAE where he delivers advanced programs on project management.